Hair on calf stadium handbag. Interior zip pocket, three credit card slots. 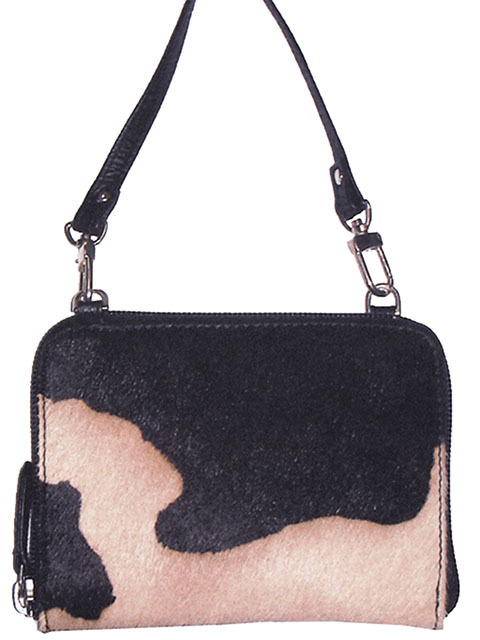 Removable cross body shoulder strap. Drop handle length - 27.5".